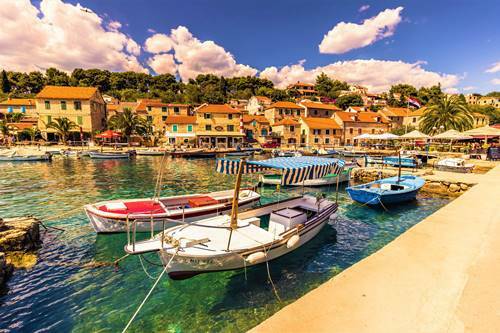 Situated off the coast of the historic city of Split, the Island of Šolta is the perfect day trip destination. During peak summer season the island offers eight ferry connections every day, making it easy to escape the bustling city in favour of a more tranquil island retreat. Besides having beautiful beaches and lush rural landscapes, Šolta is famous for its family-run farms where award-winning wines, olive oils and honey products are made. Whether you’re visiting the island on a day trip excursion, or spending a few days in the idyllic paradise, there are plenty of interesting things to see and do on Šolta. Join a guided tour of Šolta’s landmark attractions and discover its unique history, charm and heritage. The pristine natural environment combines aquamarine crystalline waters with stunning scenery. The unspoiled oasis is the perfect relaxation location in which you can unwind, sunbathe and swim, and soak up the atmosphere. If you’re feeling active, visit one of the local and friendly family-run farms and learn how the island’s many valuable treasures are produced. You can sample wine made from indigenous grape varieties and deliciously fruity olive oils, and taste sweet, golden honey that boasts therapeutic properties. You can also purchase handcrafted products to take home as souvenirs. 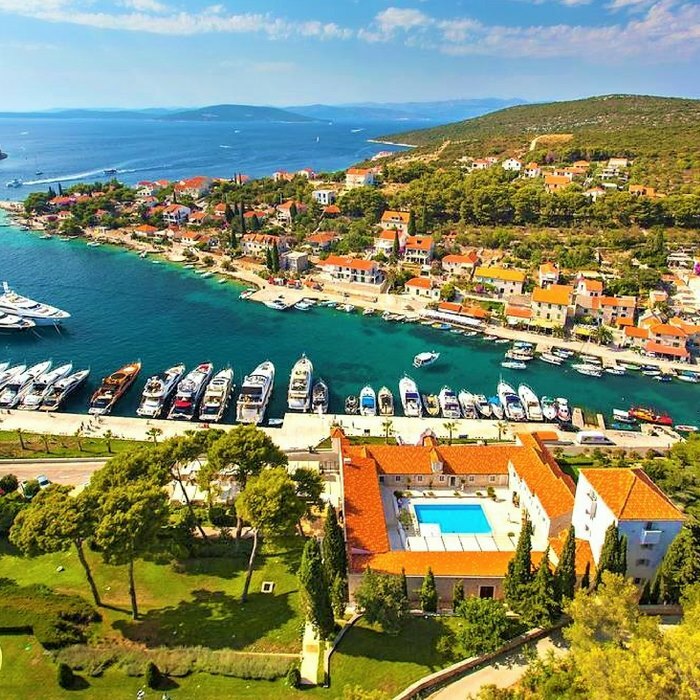 Dotted along the picturesque coastline of Šolta Island are numerous peaceful pebble and shingle beaches that are lined with cafes, bars and restaurants. On a hike around the beauty spots, you can explore the stunning bays situated on the island’s southern side. Alternatively, you can sail around the island and admire its unique natural formation. In the crystal clear waters, you can enjoy kayaking, scuba diving and other fun water-based activities. Take a tour of Šolta’s charming little hamlets and villages, and admire the Mediterranean style architecture of the churches and houses. Grohote is Šolta’s oldest and largest village. Most of the residents are fishermen, farmers and lime-burners, who earn their living in the same way that their ancestors did for generations. Grohote is Šolta’s economic centre and boasts a farmers market, small shops, a post office and a fire station. Wander through the village’s quaint narrow alleyways and admire the traditional architecture. The historic village settlement lies between Stomorska and Maslinica (situated on opposite sides of the island) and offers an authentic experience of Šolta island life. 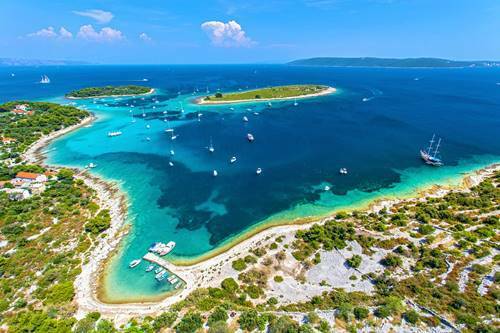 As the shimmering Adriatic Sea surrounding the island of Solta is always crystal clear. The shallow water inside the enchanting blue lagoon is immaculately pristine, and you can see all the way to the bottom of the sea. The conditions are perfect for enjoying a swimming or snorkelling experience. In the beautiful hidden coves and bays you can observe all types of colourful and distinctive fish species and other endemic sea creatures in their natural habitat. If you prefer, you can lie back and sunbathe.